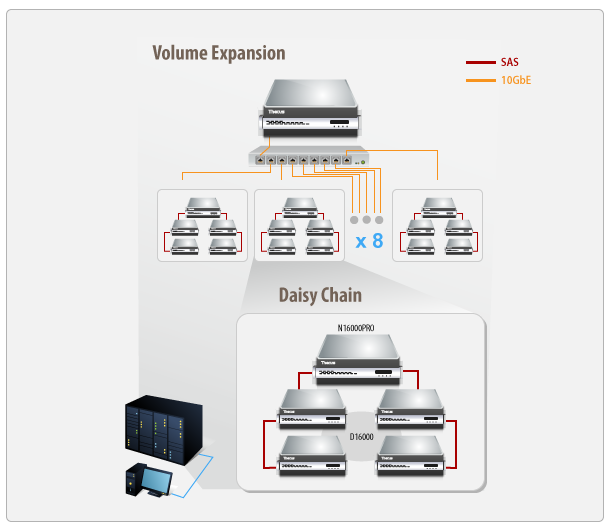 Thecus Dynamic Volume Expansion is a key solution for enterprises and heavy data users who require large amounts of storage with the option of easy growth. By incorporating a 10GbE switch, businesses have the flexibility to add up to eight target devices in a single NAS stack. 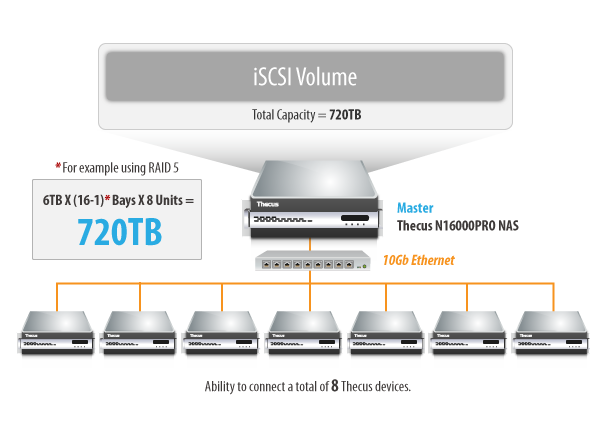 Thecus has remained at the forefront of storage technology through adaptation and innovation. 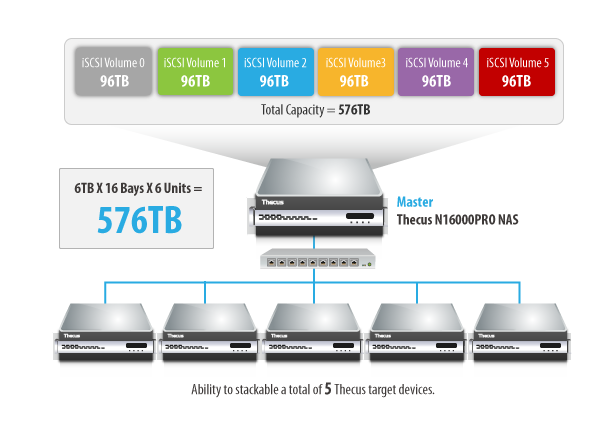 Thecus NAS are well prepared for new data and performance demands, with future-looking designs that meet even the most demanding scenarios. With both RAID and iSCSI expansion available in a single NAS, adding more or larger disks to expand your available data capacity is easy. Although this is a very useful and important function, users are still limited by the capacity of their NAS. So by stacking your NAS, users are able to extra NAS and increase their capacity exponentially, therefore giving you a revolutionary scale of adaptability.